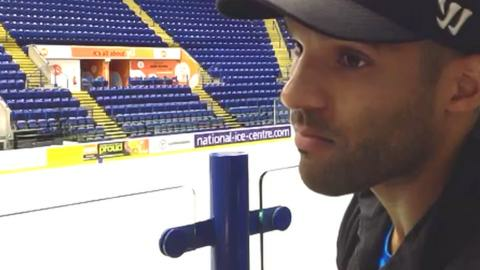 Nottingham Panthers and Great Britain forward David Clarke has said he is eager to prove his doubters wrong after an injury-plagued season in 2014-15. The 34-year-old missed the majority of the last campaign with a shoulder injury that saw him undergo two operations and not feature in 2015. Club captain Clarke told BBC Radio Nottingham: "I have a lot to prove to myself and to other people. "I want to show I am the same player I was, I look forward to proving it." Panthers begin their season on Saturday, 5 September when Dundee Stars visit the National Ice Centre. And Clarke said he is even more keen to help the club get back on track after a rare trophyless season last time out. "I want to win championships for Nottingham," Clarke added. "Personal goals are very nice but they come with success, but they don't really mean anything while you are playing. "I have had a long time off. Last season was a really tough one for me personally and it didn't go as well as we would have wanted team-wise, so it's nice to have a new lease of life. "But you have to put it into perspective. There are much worse things going on in the world and that's the way I look at it."